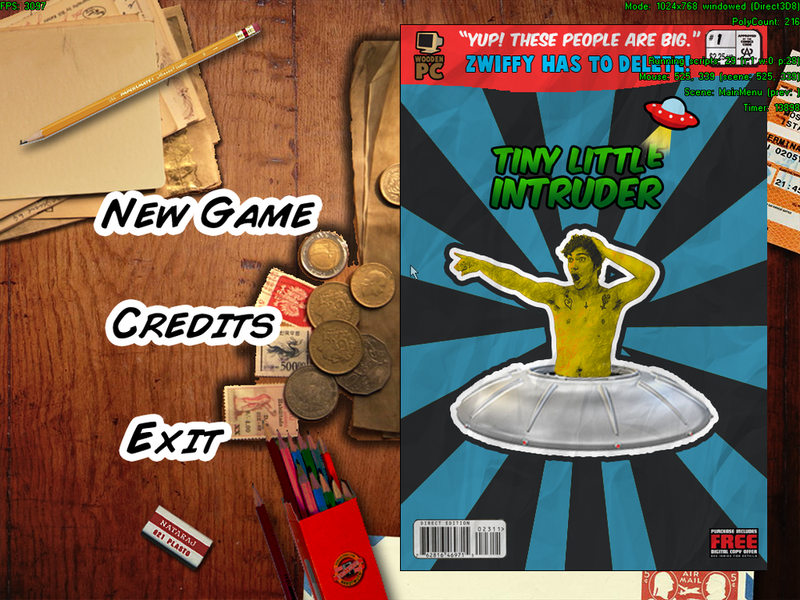 Tiny Little Intruder is comic themed 2D point and click adventure game, in which the player embodies a tiny alien character. The tiny alien is on a mission to erase valued data from earth, which was transmitted from it's planet. The story proceeds on how the player helps the alien to crafts items, interacts with objects, solve puzzles and uses time ability to track and delete the data. Created assets for UI and Main Menu with a comic book layout. Adventure game was a surprise project which we got a month after our second semester of Year 2. We had only 3 months to develop the game and unfortunately had no artist in the team. So we adapted the whole concept of capturing photos to make the game. We took pictures around our college campus to make this project.